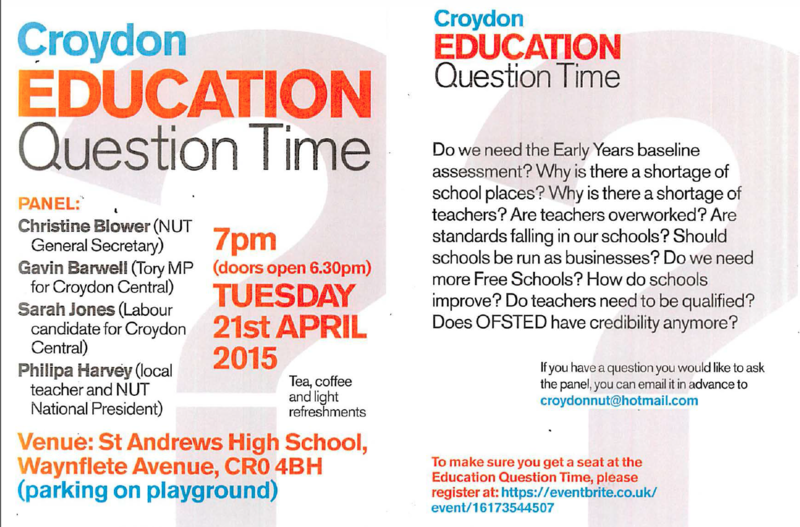 Croydon’s Education Question Time will feature NUT General Secretary Christine Blower, Croydon Central MP Gavin Barwell and others debating education in the borough. Doors open at 6.30pm, parking is available on the playground. To submit a question to the panel, email it in advance to croydonnut@hotmail.com, or you can write it out on arrival. Tea, coffee and light refreshments will be provided.